Until Sunrise. Detectives and police officers don’t have an easy job. Every day they face numerous criminals and fighting them is rather demanding. Sometimes even when the authorities know that someone is guilty for a certain crime, the evidences lead to another side so they are not able to place the criminals behind the jars. And probably that is the hardest part – to know the criminal and not being able to do something. Paula and Steven are two detectives who have worked for a long time on arresting the leader of the biggest robbery in the country. This robbery happened few years ago and actually the criminals robbed the national vault, but they were never found. There were some suspects but no evidences, nothing that could put them into jail. After a long time, Paula and Steven have managed to arrest Ralph. They are sure that he is the main leader in this robbery, the organizer of all things. However, they still miss few main evidences and the term for delivering them in the office is until sunrise. If they don’t manage to provide enough evidences, Ralph will be freed. We all don’t want a criminal to be walking freely there on the streets, looking for his new challenge. That’s why it would be useful if we help Paula and Steven find those crucial evidences and finally put Ralph where he belongs – in the prison. 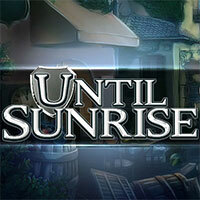 Until Sunrise is a free online hidden clues game on Hidden4Fun.